Fahmi Mukhayer is one of the Emirati co-founders of HLP, with an extensive experience in insurance and contracting matters. 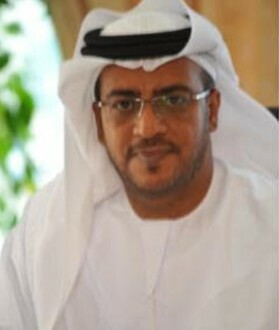 He has been acting as counselor of ZADCO, an operating subsidiary of ADNOC. He ensures that the company has the adequate direct insurance coverage and reviews all ZADCO insurance policies and negotiates on behalf of the company with all existing partners to improve existing terms and policies. Acting as legal counsel to company management and shareholders, as an internal legal authority and external advocate, fully authorized in representing them before all levels of court. Managing company's legal risks and proceedings to safeguard company's interests and ensuring that all its actions and activities are conducted in compliance with the law. Leading and carrying out the settlement of claims and disputes with business partners (contractors, engineers and vendors) via the reasonable alternate resolution proceedings. Managing the company's insurance processes to protect its business and employees from financial losses due to accidents, medical claims, etc.. Performing managerial functions and exercising financial authority as a manager.